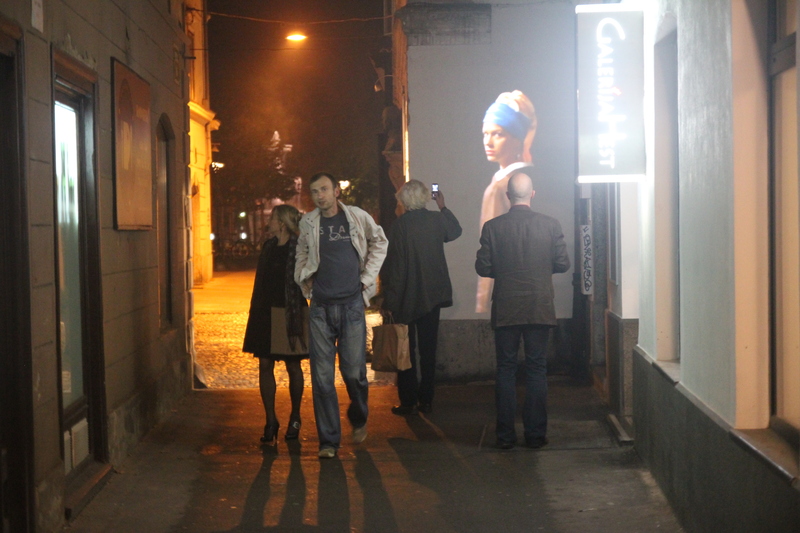 Opening of Video Wall, Urban open air video gallery in Ljubljana, 24th October 2013. 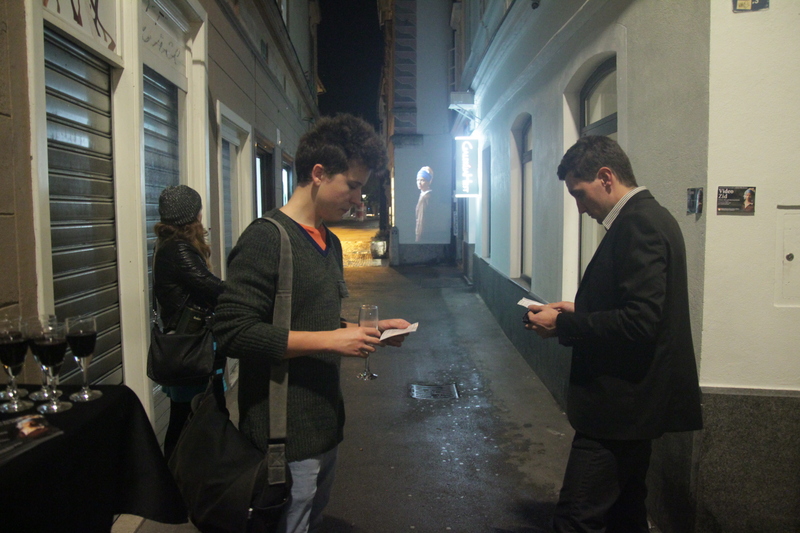 We are attached to Hest Gallery in Židovska ulica, Ljubljana. 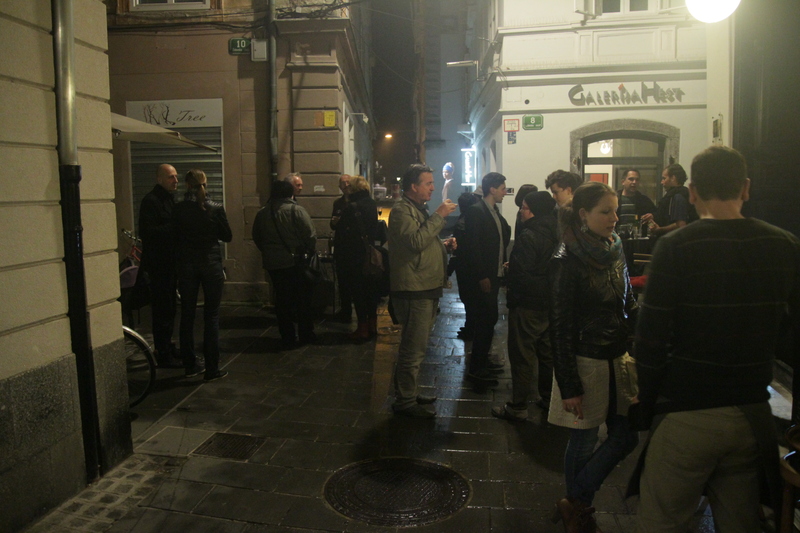 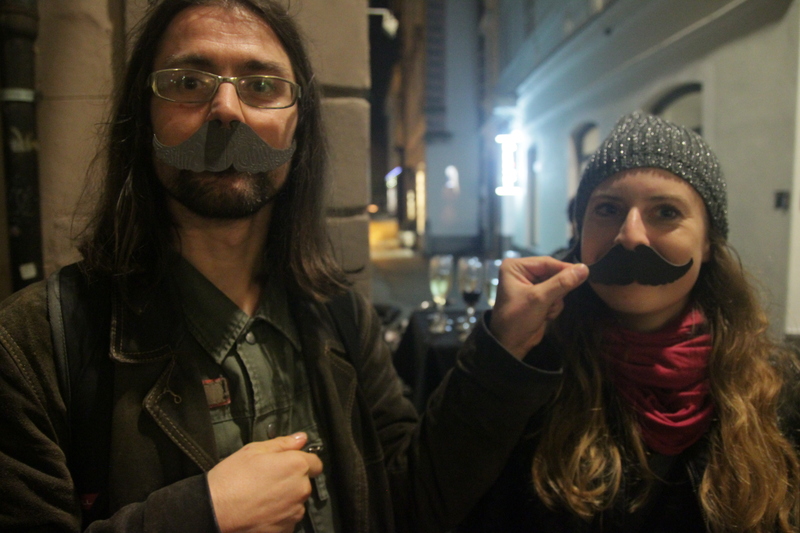 On the opening we had delicious canapees from Skaručna and wine from Bar Roža. 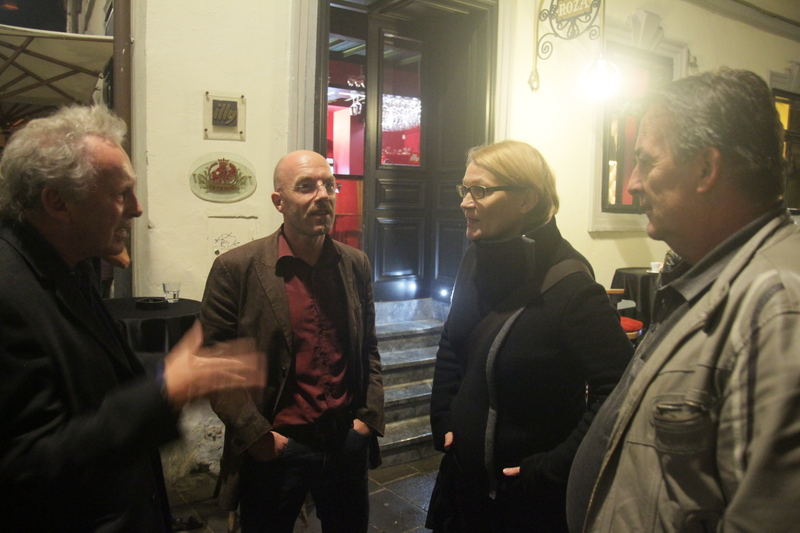 The project is supported by the City of Ljubljana and KD Galerija GT.